George’s Men's Store is Tucson’s finest purveyor of distinctive menswear for all occasions. From rugged outdoor to high style elegant, the offerings at George’s are ideally suited for men of all ages. Owner George Fangmann’s expertise comes from a lifetime as one of the southwest’s premier clothiers. Known for his impeccable taste, George’s mission is to deliver the very best clothing, shoes and accessories from top artisan manufacturers around the world. 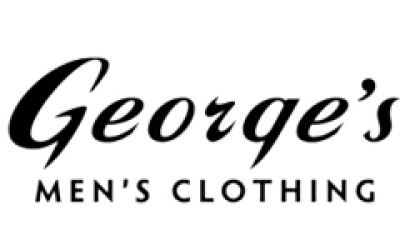 You want to shop at George’s …..
To gain the confidence you get from looking good and wearing the right clothing. Because you love being chic, fashionable & fun! So you can shop with confidence and rely on our reputation for excellence in style, fit, value and the ultimate in customer service.